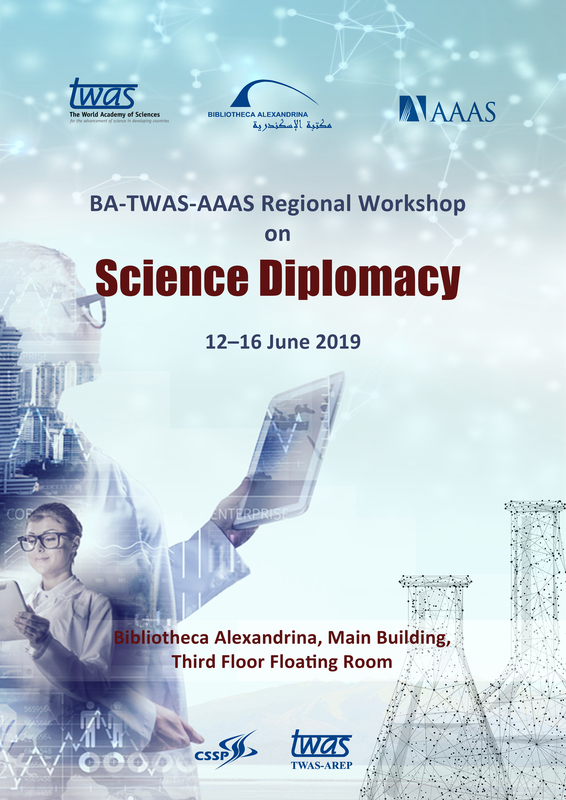 The Bibliotheca Alexandrina (BA) through the Center for Special Studies and Programs (CSSP), the World Academy of Sciences for the Advancement of Science in Developing Countries’ Arab Regional Partner (TWAS-AREP) and the American Association for the Advancement of Science (AAAS) are seeking candidates to participate in the regional workshop on science diplomacy to be held from 12 to 16 June 2019 in the Bibliotheca Alexandrina, Alexandria, Egypt. The workshop aims at introducing Arab participants to the most important contemporary international and regional issues, while presenting a general overview on how science, technology and creativity can contribute to the development of policies, international governance and conflict resolution. 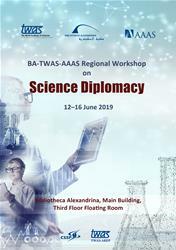 Through interactive sessions with participants and speakers, the workshop will display some studies, models and experiences on how to develop ideas and strategies in order to consolidate the diplomacy of sciences in the Arab region. Additionally, the workshop strives to build strong networks to promote new generations of science diplomats in the region. The workshop’s application is open for Arab young scientists (under the age of 40) who live and work in the Arab region, and who are policy makers interested in political matters based on science. Applicants can be also representatives of non-governmental organizations or other sectors in the fields of science and diplomacy, young women scientists, and young Arab refugee scientists who come from war-torn countries. Applicants from Science & Technology Lagging Countries (STLCs) and Least Developed Countries (LDCs) from the Arab region are especially encouraged to apply.